In the world of gaming, there is neither the time nor the scope for mediocrity. Games are becoming more addictive and absorbing by the minute, and GPUs need to rise to the occasion if they want to win passionate gamers over. NVIDIA has launched a significant upgrade to its popular graphics cards with NVIDIA GeForce RTX Graphics—a launch that offers a considerable leap in performance with greater speeds and additional cores. For those of us who run gaming in their veins, the dazzling new graphics card can mean faster frame rates, more meticulous details, and the sheer joy of playing at the highest settings. 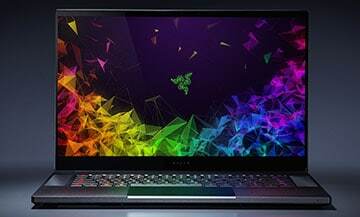 Following the launch, many leading gaming laptop manufacturers have come up with machines that utilize the power of NVIDIA GeForce RTX Graphics. Not surprisingly, it has become a crowd out there, with top brands competing for mind space. So, which gaming laptop should you consider if you’re looking to upgrade to NVIDIA GeForce RTX graphics? We’ve prepared an exhaustive list of the 20 best machines to suit different budgets and requirements—yes, lists are amazing like that, aren’t they? But let’s first look at some nuances of NVIDIA GeForce RTX that every gamer worth his or her salt should know. The NVIDIA GeForce RTX series is a new gaming chip based on the Turing architecture that bestows it with a superpower geeks call “Ray Tracing.” With these graphics cards, you can experience cinematic lighting that produces light and shadows mimicking those in real life. If that hasn’t got you overwhelmed already, let’s break it down: the new technology tracks every ray of light to replicate how it would behave in the real world, in real time. Not only does this mean studio-grade CGI for gamers but it also unveils unparalleled levels of creativity for game developers. You can now expect games that utilize the interplay of light and shadow to enthrall, mystify, and wow. This phenomenal power can be unleashed through the cards that are part of this series: GeForce RTX 2080 Ti, 2080 and 2070. These GPUs offer 4K gaming at smooth frame rates of 60 frames per second (or more). But that’s not all. The RTX series also brings to the table something called “Deep Learning Super-Sampling” (DLSS). This innovative technology employs artificial intelligence to enhance image quality in games. Simply put, NVIDIA GeForce RTX will offer you a massive jump in performance, the ability to game in 4K and the highest graphical settings without distortion, and the super-power of remarkable realism. When compared to its predecessor, this is a huge improvement across the board. There’s little doubt that the fancy new Geforce RTX graphics card is worth its salt. It promises a jump in performance so tangible it is all-encompassing. But do you really need to buy a gaming laptop with this upgrade? If you want to game in 4K: Few can deny that 4K gaming is super-immersive. The imagery is vivid like nothing you’ve seen before, and every detail and CGI on and off the battlefield is right in your face. If you want to game in one of the highest resolutions at a frame rate of 60+fps, the new RTX card is a wise choice. If you covet realistic gaming: The hallmark of this new line of GPUs is its all-new Turing architecture with ray tracing. The effects are palpable in everything about the game—from how the characters move and interact to the dynamics of a car explosion. Embrace the RTX if engrossing gaming gets your blood racing. If you want to experience the newest versions of your favorite games: Many AAA games are launching new versions to exploit the complete potential of the RTX cards. Consider the switch if you want to be quick off the mark at Battlefield V and Shadow of the Tomb Raider, among others. If you’re upgrading from NVIDIA GeForce GTX: Unless you’ve experienced the full potential of the predecessor, you cannot appreciate the upgrade that comes with its pricier cousin. If you’re comfortable playing at low settings and average frame rates, the GTX is a powerful GPU in its own right. Consider a gaming laptop with GeForce RTX if you now want to explore new horizons. If you have the budget: No one promised splendor at a shoestring budget. If you aspire for the greatness of an RTX-based gaming laptop, you will need to shell out anything from $999 to $3999 or more. 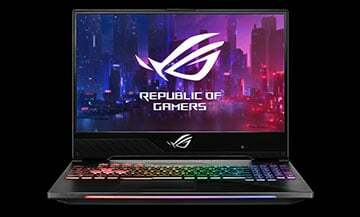 ASUS’s gift to the gaming world this New Year, the 17.3” ASUS ROG Mothership is a supremely powerful gamer infused with a GeForce RTX 2080 GPU (with 8GB dedicated memory), an eighth-gen Intel Core i9 processor, a refresh rate of 144Hz, and three high-speed SSDs—a combination that uplifts any contemporary game. Designed with a redefined form factor that employs a standing design, this laptop offers (almost) desktop-grade performance and cooling. The detachable keyboard elevates the flexibility of this 4.7kg-machine (10.3lbs) with a thickness of 29.9mm (1.17”). You get a fabulous display with a response time of 3ms and a 100T% sRGB color gamut. This elevates the spectacle that is G-SYNC—a tear-free gaming technology—and the topnotch acoustic system by ESS Sabre HiFi DAC. Get connected with the 2.5G Ethernet, 802.11 AX Wi-Fi, and six USB ports. You’ll find it hard to find a GeForce RTX gaming laptop that can better these specs and rival the fabulousness. If you’ve used the Zephyrus before, you know the brilliance it packs into a mobile, compact exterior. 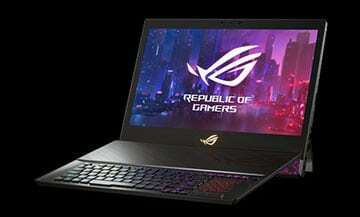 The latest 17” ASUS ROG Zephyrus S GX701GX takes this up several notches by offering NVIDIA GeForce RTX 2080 graphics with Max-Q (8GB), an eighth-gen Intel Core i7 CPU, and the handy ability to switch between G-Sync and Optimus mode (for longer battery life). The bezel remains super-thin at 6.9mm (0.27”), helping the chassis have an astonishing thickness of 18.7mm (0.73”). For such a powerful machine, the weight is feather-light too—2.7kg (5.95lbs). Great power and sustainability come naturally to the Zephyrus; it is driven by 24GB RAM, 1TB of storage, and an “Active Aerodynamic System” (AAS) of heat dissipation that boosts airflow by 32%. Complete with a per-key-backlighting keyboard, a multipurpose USB Type-C port, and an optional ROG GC21 external camera (60fps), this laptop is keen to push the envelope. ASUS occupies a chunk of the gaming laptop marketplace, thanks to its willingness to experiment; however, it also appreciates when the familiar might be wiser. 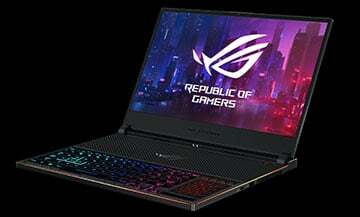 The 17.3” ASUS ROG G703GX, a familiarly built laptop, is as powerful as some of its trendier contemporaries, powered by an Intel Core i7 CPU, 64GB RAM, and 1TB of storage (FireCuda). It is infused with NVIDIA GeForce RTX 2080 (8GB) and equipped with a full-resolution display, a refresh rate of 144Hz, and a quick response time of 3ms. This laptop offers a 100% sRGB color gamut and G-SYNC technology for fluid gaming, employing a heavyweight cooling mechanism with uber-effective fans to keep things under control. Whether you’re on the hunt for conventional gaming features such as RGB backlighting and USB ports to or standout traits like an ergonomic, 2.5mm-key-travel-distance, this ASUS offering has you sorted. The only downside you must put up with is the rather heavy weight of 4.7kg (10.3lbs). 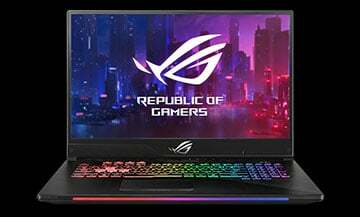 True to the promise of the Zephyrus family, the newest 15.6” ASUS ROG Zephyrus S GX531 blends performance with portability, offering a powerful configuration in a package that weighs only 2.1Kg (4.6lbs) and measures 15.35mm (0.60”). 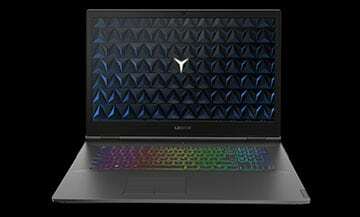 Energized by an Intel Core i7 processor, 24GB RAM, and 1TB of high-speed SSD memory, this laptop scintillates with NVIDIA GeForce RTX 2080 Max-Q graphics (8GB). The innards remain cool with the AAS heat management system; the airflow is touted to be 22% higher than in conventional designs. Complementing the high-power GPU is a full High-Definition screen with support for In-Plane Switching (IPS), a response time of 3ms, and an optimal refresh rate of 144Hz. Since the display is Pantone-validated, you can expect brilliant coloring and meticulously rendered arenas. The Zephyrus S GX531 is well-connected to the world with multiple USB ports (five), 802.11ac Wi-Fi, Bluetooth 5.0. Gear up to sport the gaming-face you always saw in your dreams. Another magnificent addition to ASUS’s line-up of gaming laptops with RTX graphics is the 15.6” ASUS ROG Strix SCAR II GL504 – a competitive laptop that wants you to excel at your game. Look inside, and you’ll find either an Intel Core i7 or i5 processor, 32GB RAM, and up to 1TB of HDD storage (or 1TB of SSHD). You can choose an NVIDIA GeForce RTX 2070 graphics card (8GB) or opt for a cheaper NVIDIA GeForce RTX 2060 GPU (6GB). Either way, you enjoy splendid frame rates on the full High-Definition screen with a refresh rate of 144Hz, a 3ms-response-time, and a color gamut of 100% sRGB. Even otherwise, the GL504 is an adequate computing partner, with plentiful USB ports (four), dual speakers (3.5W) with excellent amplification, and an RGB keyboard with a comfortable key-travel distance of 1.8mm. At 2.4kg (5.29lbs) and 26.1mm (1.02”), it also travels well, eager to perform wherever it goes. 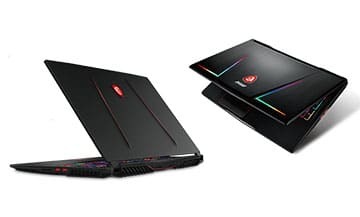 Matching its smaller contemporary in most departments is the ASUS ROG Strix SCAR II GL704GW​—a 17.3” gaming laptop with NVIDIA GeForce RTX 2070 or RTX 2060. While the former configuration comes with 8GB of dedicated GPU memory, the latter offers 6GB. Since the computer is driven by a high-performing Intel Core i7 or i5 CPU, 32GB RAM, and up to 1TB of storage (HDD or SSHD), you can play even demanding AAA games uninterrupted. The large screen size lets you visualize the arena better, supported by the refresh rate of 144Hz and response time of 3ms. In terms of connectivity and device support, you should be comfortable with the several USB ports (five) and 802.11ac Wi-Fi. The RGB keyboard with 4-zone backlighting enhances your experience, while the dual 3.5W-speakers deliver well-amplified sound. 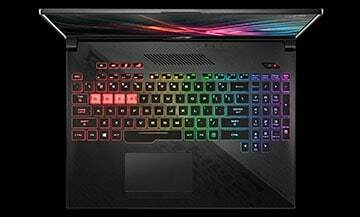 The 17” version of ROG Strix SCAR II is a tad heavier and thicker at 2.9kg (6.39lbs) and 26.4mm (1.03”). 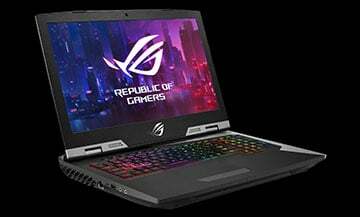 Here’s an ASUS gaming laptop designed especially for multiplayer online battle arenas (MOBAs) and audiences who covet fantastic gaming power with a stylistic subtlety. Aesthetically built with a gently highlighted QWER row on the keyboard, the ASUS ROG Strix Hero II GL504GV​ is powered by GeForce RTX 2060 graphics, an Intel Core i7 or i5 CPU, 32GB RAM, and up to 1TB of memory (HDD or SSHD). The GPU comes with 6GB of dedicated memory to bestow audio-visual glory to your favorite games. The 15.6” screen comes with a refresh rate of 144Hz and a response time of 3ms—comparable to the ASUS ROG Strix Scar II. It also lets you switch between G-SYNC and Optimus, depending on whether you need to maximize performance or battery backup. Equipped with four USB ports, 802.11ac Wi-Fi, and dual 3.5W-speakers, this gaming laptop is remarkably portable at 2.4kg (5.29lbs) and 26.1mm (1.02”). Not to be left high and dry in the pursuit of superior RTX gaming laptops, Acer too has come up with fascinating new launches in its Predator series. 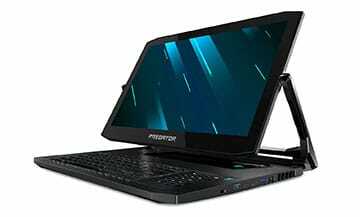 The Acer Predator Triton 900 offers 4K gaming with NVIDIA GeForce RTX 2080 graphics rendered on a 17” screen. Driven by an eighth-gen Intel Core i7 processor and 32GB RAM, it is a powerful device that can run demanding games smoothly. The IPS screen allows you to game on from multiple viewing angles without experiencing distortion. The Waves Maxx audio ensures a 3D audio experience that further lifts your gameplay. Design-wise, this Acer Predator stands out from the crowd. It features an Ezel Aero Hinge (CNC-machined) that can be used to reposition the display according to your needs, realizing four modes of operation—display, Ezel, notebook and stand. The Ezel mode is best-suited to playing games on the touchscreen; the experience is both ergonomic and interesting. Quite a handy and thin (0.94”) convertible, this! If you’re looking for a smaller screen but features comparable to bigger powerhouses, the Acer Predator Triton 500 is a worthwhile choice. 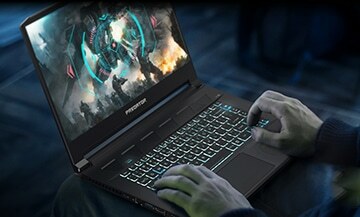 A 15.6” gaming laptop that weighs only 4.6lbs and is 0.70” inch in thickness, this machine is portable gaming at its best. Like its larger sibling, it is powered by an Intel Core i7 processor, 32GB RAM, and NVIDIA GeForce RTX 2080 graphics with Max-Q design. The RTX graphics light up the screen which is already vivid at a brightness of 300 nits, a refresh rate of 144Hz, and a response time of 3ms. The compact screen is quite a triumph of the Predator Triton 500, delighting audiences with its narrow bezel (0.25”) and screen-to-body-ratio of 81%. This creates some truly compelling gaming experiences, especially when you’re dabbling in immersive graphics and VR. All the other gaming-friendly features of Acer are available here, including Waves MaxxAudio, G-SYNC technology, and an aeroblade-led heat dissipation mechanism. 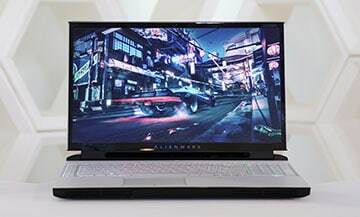 Here’s something for those gamers who lust after unbeatable power—the latest 17” Alienware Area-51m. 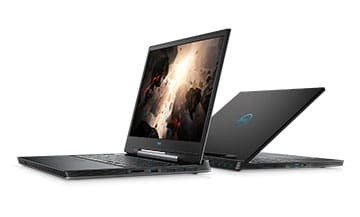 It supports a configuration that Dell claims to be “the most powerful ever” in a gaming laptop (50% more performance than in predecessors)—a ninth-gen Intel Core i9 CPU, 64GB RAM, and NVIDIA GeForce RTX graphics with 8GB of dedicated memory. Alongside, it features an efficient cooling mechanism that ensures sustainability. The overall construction adheres to Dell’s “Legend” design that replicates (almost) desktop-like power within gaming laptops. The display of this Alienware matches the force it houses within. So, you get a narrow-bezel design and a captivating screen with a 144Hz-refresh-rate. This computer supports the Tobii eye-tracking technology to let you use subtle eye movements to control your game. Gear up to also experience 2.5Gbit Ethernet wired-networking. Talk about fabulous! 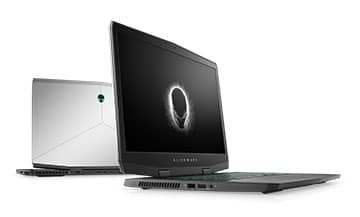 Portability is paramount for the Alienware m15 and m17​—mobile gaming laptops by Dell that weigh only 4.76lbs and 5.79lbs respectively. The m17, in fact, is the lightest 17” laptop from the Dell family—an astonishing blend of innovative design and function. These numbers have been achieved with the use of premium construction materials like magnesium alloy and copper. Despite their lightweight build and compact profile, both these computers offer competent gaming performance, thanks to their eight-gen Intel Core i7 and i5 CPUs (or even i9) and NVIDIA GeForce RTX graphics (20 Series). The portability is sustained even amidst full-on power with the help of a cryo-tech cooling mechanism. Both the m15 and m17 can become ideal gaming companions if you covet mobile gaming and wish to carry your laptop across destinations without feeling bogged down by the weight. Liked the Dell G Series of gaming laptops? You will then enjoy the two latest additions to the line-up—the Dell G7 15 and G7 17​—that couple classic gaming excellence with a thinner-than-ever design. The Dell G7 15, for instance, is the thinnest laptop in this family with a thickness of only 0.78”. Both devices come equipped with eighth-gen Intel Core CPUs up to i9, NVIDIA GeForce RTX graphics (20-Series, with 6GB of dedicated memory), 1TB of SSD memory, and 2TB of HDD storage. This is paired with a crystal-clear screen with G-SYNC and a refresh rate of 144Hz to guarantee tear-free, scintillating gaming. Both the laptops offer optional keyboards (RGB-backlit) to elevate your gameplay along with a Nahimic Sound Center to create a 360-degree sound experience. Add to that the trustworthiness of Dell, and you have an all-weather gaming mate. Gaming doesn’t always have to cost a bomb, does it? If you’re hunting for a gaming laptop that delivers immense power but doesn’t empty your pockets—who isn’t?—the Dell G5 15 and G5 15 SE ​are worth considering. 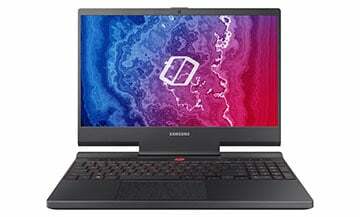 These 15.6” devices run on Intel Core i7 processors and offer NVIDIA GeForce RTX graphics (20-Series) with 6GB of dedicated memory. The narrow bezel design makes the full High-Definition screen worth plunging into, and this is boosted further by G-SYNC and a refresh rate of 144Hz. It is possible to choose an OLED panel if you covet even brighter color and detailing. Despite their affordable price tag, the Dell G5 laptops don’t cut any corners when it comes to delivering a complete gaming environment. So, you get an RGB keyboard, a Nahimic Sound Center, and a handy command center to control every aspect of your device and game. 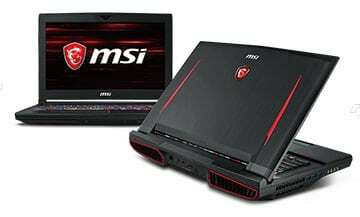 Recently, MSI has launched a spate of superior gaming laptops that up your gaming performance by several pegs. Among them are the MSI GS75 and GS65 Stealth. 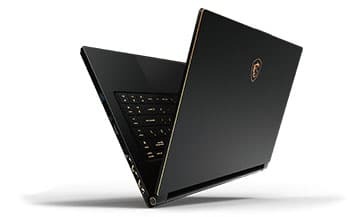 The MSI GS75 Stealth is a 17.3” machine driven by an Intel Core i7 CPU and NVIDIA GeForce RTX 2080 graphics. It features a pleasing display with a refresh rate of 144Hz and an IPS-compliant panel. Remarkably sturdy with an aluminum alloy body, it remains light and sleek at only 4.96lbs and 0.75”. Two things really set it apart from the crowd: a larger, more responsive touchpad and an internal radiator for enhanced audio. What about the MSI GS65? It matches its sibling in most departments but beats it in weight by coming up lighter at only 4.19 lbs. It also has a smaller screen at 15.6”, thereby proving to be a better fit for portability-seekers. The MSI Titan series has, over time, become synonymous with magnificent gaming that goes on uninterrupted for long, unimaginable hours. The newest additions to this line-up include the MSI GT75 and the GT63 Titan—both of them wonderfully utilizing the power of NVIDIA GeForce RTX 2080 ​graphics with 8GB of dedicated memory. Fueled by an Intel Core i9 CPU (or an i7), these laptops boast of full High-Definition displays with refresh rates of 144Hz, IPS panels (optional), and 4K resolutions of 3840 x 2160. With the 17.3” GT75, you can also opt for 100% Adobe RGB display to elevate things further. Overall, these new Titan laptops are more than ready for competitive gaming. They employ a “Cooler Boost” technology to dissipate heat and also provide pro-gaming features like RGB keyboards, Dynaudio sound with Nahimic 3 enhancers, and high-speed SSD memory (or combos of SATA and HDD). Pick these up if you demand an ultimate 4K gaming experience. Much like their name, the MSI GE75 and the MSI GE63 Raider ​bring to the table an aesthetic that few gaming laptops can match. A dragon-spine design, a red anodized finishing, and a diamond-cut build exude the power that these laptops host within—Intel Core i7 CPUs and NVIDIA GeForce RTX 2080 GPUs. MSI has always invested in functional design, so that you can expect nothing short of phenomenal with the “MSI Cooler Boost 5” technology in the 17.3” GE75. This heat dissipation system combines two fans and seven copper heat pipes to keep things cool. These MSI laptops also offer an “App Player” to let you game fluidly on both your computer and mobile. Besides, they are fitted with RGB gaming keyboards (with per-key lighting) and Dynaudio-sound that benefits immensely from speakers five times bigger than in predecessors. The GE63 Raider offers a smaller, 15.6” screen while being comparable in pretty much everything else. Both laptops weigh 5.73lbs—pleasantly low for all that power. This year, Samsung too has an exciting launch in its kitty—the 15.6” Samsung Notebook Odyssey​, specially designed for passionate gamers. It is a compact laptop that weighs 5.2lbs and measures 0.78” in thickness. Fueled by an Intel Core i7 processor, 16GB RAM, and, of course, NVIDIA GeForce RTX 2080 graphics, it is a gaming machine fit to run most modern AAA titles. It couples performance with a 144Hz-display and utilizes jet blade blowers to keep everything sane for a long time. Interestingly, the Odyssey also offers some exclusive features sure to please gamers, such as multiple gaming profiles, upgradeable memory (SSD or HDD), and an equalizer to fine-tune in-game lighting. Depending on its price, this Samsung laptop has the potential to be a friendly, unintimidating gaming laptop that, nonetheless, knows its job well. In tune with the times, Razer has upgraded its popular Blade series with NVIDIA GeForce RTX graphics—an upgrade sure to delight fans. The new 15.6” Razer Blade Advanced Model comes with a 144Hz refresh rate, a keyboard with per-key lighting, 4K touch (3840 x 2160), and a sleeker profile that measures 0.70”. You can pick from GeForce RTX 2060, RTX 2070 or GeForce RTX 2080 (the latter two with Max-Q). This laptop is driven by an Intel Core i7 CPU, 64GB RAM, and up to 512GB of SSD memory. Display-wise, the laptop is immersive and has a thin-bezel design of only 4.9mm (0.19”). The screen covers almost 85% of the total visible area, which means you get more visual, less noise. Also up for grabs are a more precise touchpad and an advanced control system (Razer Synapse 3) for customizing everything from fan-speed to gaming profiles. What emerges when you combine All Intel Inside, Microsoft Azure, and NVIDIA GeForce RTX 2080 (or 2070 in the X9) graphics with 8GB of dedicated memory? 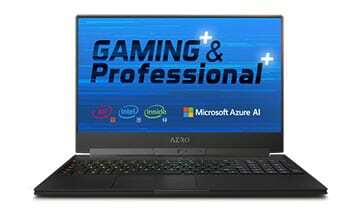 Well, you can find out in the new GIGABYTE AERO 15-X9 or 15-Y9—gaming machines that claim to be the first-ever “Edge AI” and “Cloud AI” (artificial intelligence) laptop​s. For the user, this means an ultra-efficient performance with minimized heating and maximized gameplay. Driven by an Intel Core i9 processor, these latest launches manage to up the performance by almost 50%. And yet, the laptop remains light at 2Kg (4.49lbs) and 1.8cm (0.39”). The new GIGABYTE AERO comes with a thin bezel (5mm or 0.19”), Pantone calibration, and a refresh rate of 144Hz—all realized on a 4K UHD display with IPS. Promising excellent acoustic experiences is the NAHIMIC 3 technology. Big bonus: the battery lasts for almost 10 hours. The final RTX gaming laptops on this list are the Lenovo Legion Y740 and Y540—machines that prioritize immersive gaming and boy, they do a majestic job! The latest Legion devices come with system lighting from Corsair iCUE and audio by Dolby. This elevates gaming (and other multimedia) experiences, supplementing the NVIDIA GeForce RTX 2080 graphics with Max-Q (and 8GB of dedicated memory). Driven by an Intel Core i7 CPU and 32GB RAM, the latest Legion weighs 6.17lbs and measures 0.91”. Both the 17.3” Y740 and the 15.6” Y540 offer stunning displays with refresh rates of 144Hz, G-SYNC, and brightness up to 500 nits. A particularly noteworthy feature of these laptops is the Corsair-lit keyboard with a response time under 1ms, anti-ghosting, and spill control. For powerful gaming devices, the battery backup is also surprisingly good—six hours for the Y740 and five for the Y540. It was only a while ago that NVIDIA regaled the world with RTX graphics. 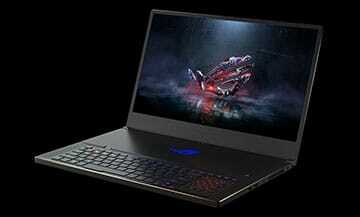 But top gaming laptop makers have already risen to the challenge and come up with astonishingly powerful products. Undoubtedly, getting a gaming laptop infused with this GPU upgrade can terrifically upgrade your gaming sessions, and you might never want to return. If you have the budget, consider going all-out with a mighty machine like the Mothership, Zephyrus, or Strix series by ASUS (#1–#7), the Alienware 51m (#10) or the Acer Predator Triton (#8, #9). If portability is your leading concern, you should explore the Alienware m15/m17 (#11) and the GIGABYTE AERO 15-X9 or 15-Y9 (#19). It is a challenge to find a competent RTX gaming laptop at a sub-$1000 price range, so finding a piece that wins over both your heart and wallet might be tricky. 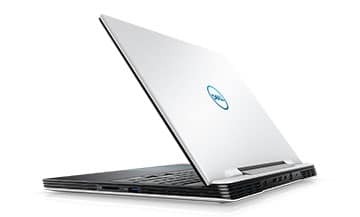 But you can check out the Dell G5 15/G5 15 SE (#13) or Dell G7 15/G7 17 (#12) for a pocket-friendly deal that almost gets the balance right. Only time will tell how most of the promising gaming laptops on this list are priced, and their on-field performance will dictate buying decisions. But from where we see things, the year ahead sparkles with promise and excitement for the burgeoning population of gamers.